Adam Zamoyski’s talk will focus on the use of cavalry in Eastern Europe in the two years that followed the First World War. At the end of the First World War, after the collapse of the German Eastern Front, Bolshevik Russia extended her power westwards. Her forces soon came up against those of a newly independent Poland. This talk looks at the crucial role the cavalry and armoured trains played in the two years of highly mobile warfare that followed. The fighting ended in the summer of 1920, when the Red Army, spearheaded by two huge cavalry armies, threatened not only Warsaw but the whole order put in place at the Paris Peace Conference. 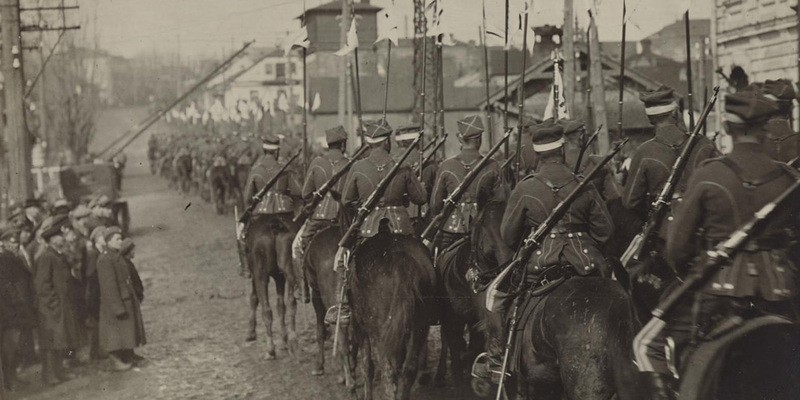 The dominance of mobile cavalry units in this period led many to draw the wrong conclusions about the future of warfare.